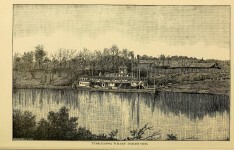 Tuskaloosa (Tuscaloosa), Alabama was early famed for her educational facilities. 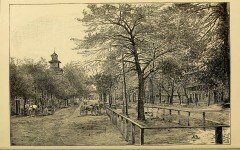 Even before the opening of the University, in 1831, the schools of the town were exceptionally good, and within a few years after that event, there were three flourishing female seminaries. 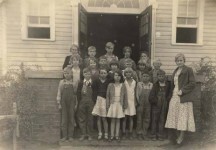 A school called Sims’s Female Academy was opened in the building in October 1829, and on January 15, 1830, a charter for this school was approved by the Legislature of Alabama. 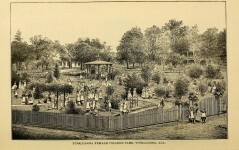 Sims Female Academy later merged with Tuscaloosa Female Educational Society. 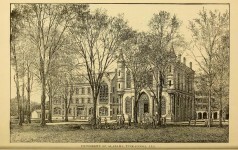 Wesleyan Academy, Fourth street and Twenty-fourth and Twenty-fifth avenues. 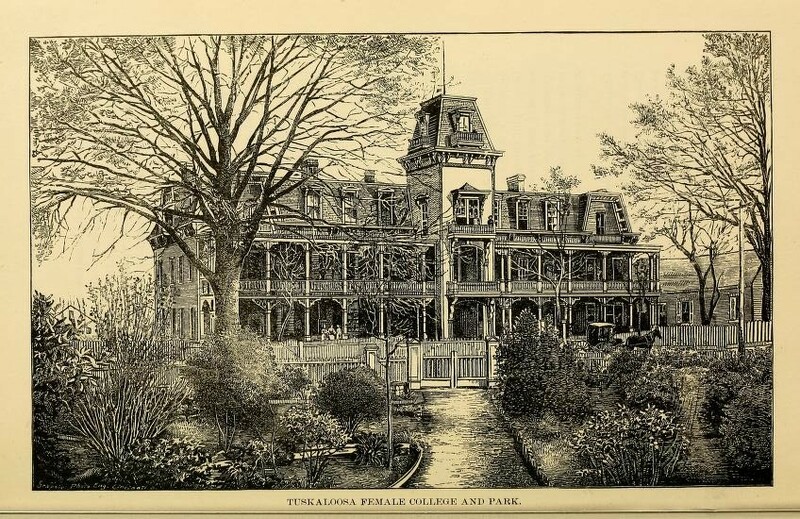 One of those, which is represented on one of the plates, the Tuskaloosa Female College, was originally opened by the Baptists as a denominational school under the name of the Alabama Female Atheneum. The financial crash of 1837 put it heavily into debt. 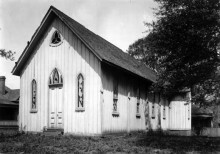 After several years of struggle it was sold, and in 1860 it passed into the hands of the Methodist Episcopal Conference, who for a number of years directed a successful female college in it. 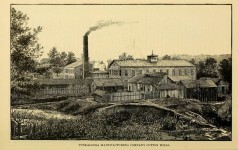 In 1871 it was sold to Rev. Mr. Larabee, who made extensive improvements, but became involved in debt and the building was sold to satisfy his creditors — purchased by private parties, and in 1876 re-sold to Prof. Alonzo Hill, who opened in it the “Tuskaloosa Female College.” The school started with about 100 scholars, one-third boarders, and eight teachers. The last catalogue shows an enrollment of 211 scholars and a staff of 19 teachers and officers. It is one of the very best, and one of the most successful and deservedly popular female institutes in the South. 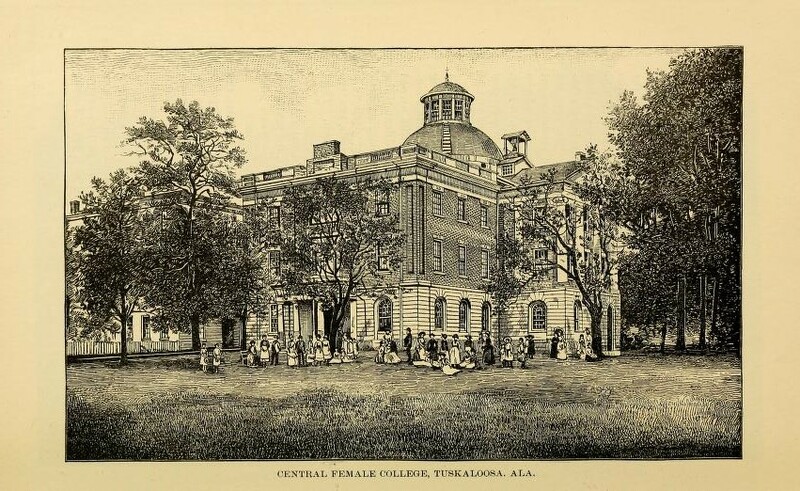 The Alabama Central Female College owes its origin to the removal of the capital. On the subject of removal public opinion was almost equally divided, and many politicians were apprehensive that the continued ownership of the old capitol by the State might induce a return to it by the Legislature. Accordingly, they gave it by legislative act to the University. This institution being at the time unable to use it, and as it was difficult to derive an income from it, the building got out of repair. 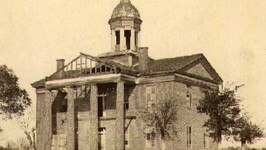 A petition, signed by the trustees of the University, and by citizens generally, induced the Legislature to lease the property to a company of stockholders for ninety-nine years, without charge, on the simple condition, “a school shall be kept ” in the building. 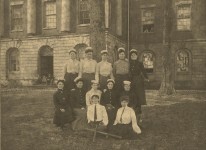 The year 1857 saw the old capitol opened as a female college, and as such it is conducted to-day. (1887) For many years it has been a most flourishing school and offers superior educational advantages. The building is one of the best pieces of architecture dating from the period of its erection. My great grandmother went to the Female Institute. She was from Camp Hill, Alabama.